Today I am back in the Stiry studios with another video podcast interview. I have the privilege of introducing you to one of the most passionate people I have had the opportunity to interview. You can feel her energy through this microphone and if you get a chance to go watch it, its even more powerful. Shelaine Maxfield is the President of the Younique Foundation, the heart and reason behind the beauty company Younique. 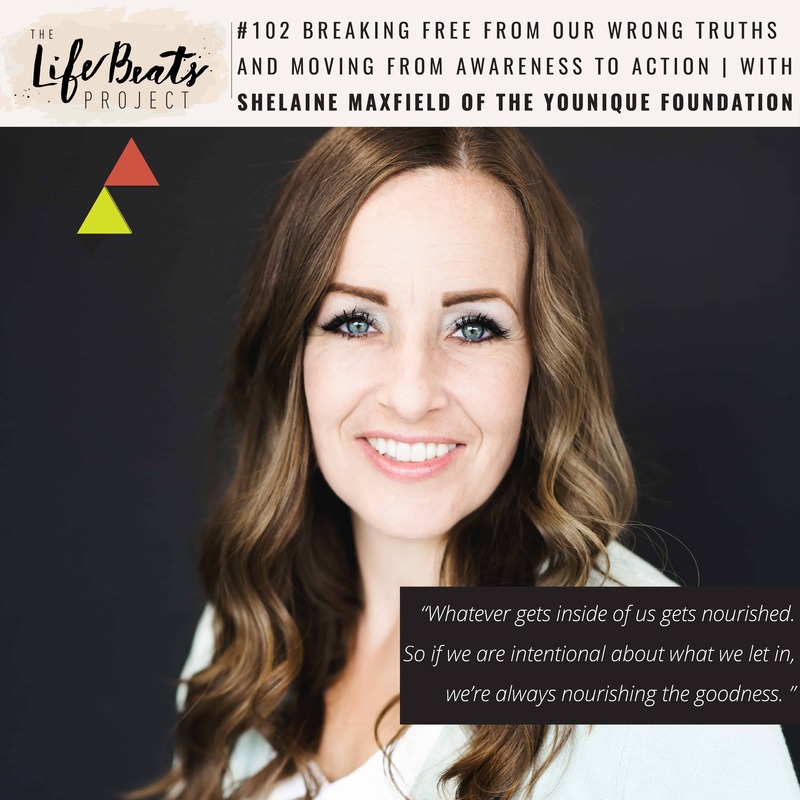 Shelaine shares her passion for helping others to break free from the wrong truths that we tell ourselves to awaken and live the greatness that is already inside of us. Sound familiar? Shelaine tells of her own wrong truths of being a “nobody from nowhere” and the feelings of never being enough that consumed her. She tells of her own journey to come to see her own God given gifts and potential and specific things we can do to foster that in ourselves and put our awareness into action. You will feel her conviction to help people see the goodness inside of them and to understand that we are each a child of God. Shelaine shares the story of how Younique began from one conversation with a friend who had been suffering the affects of being sexually abused as a child. This was the catalyst to find a way to help these women, 1 out of 4 women suffer this. She shares the two fold mission of The Younique Foundation, to protect the innocent by educating parents and caregivers on prevention of sexually abuse and well as the retreat specifically created to promote longterm healing for women who have been sexually abused as children who have wanted for so long for their silent cries to be heard and understood. Listen and be inspired to see the goodness inside of ourselves, to take ownership of our gifts and start serving others – leading awareness to action, and to join in the cause of helping to prevent childhood sexual abuse. Briana Johnson is a professional plate spinner and life juggler. Her passion is people. Her super power is X-ray vision into seeing the extraordinary within each of us. She helps illuminate the extraordinary in everyday people to her listeners through her podcast The LifeBeats Project: Pursuing the Art of Living Extraordinarily.